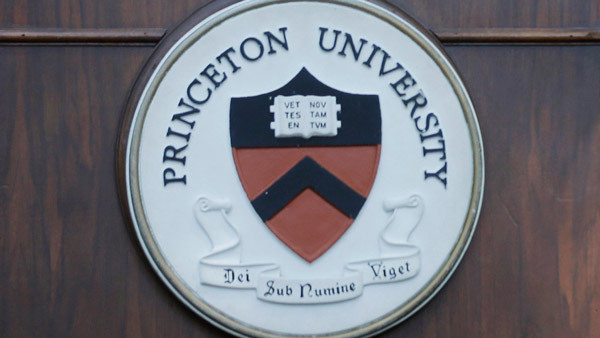 TRENTON, N.J. -- A Princeton University professor says she canceled lectures this week after receiving death threats following a commencement address in which she called President Donald Trump "a racist and sexist megalomaniac." Keeanga-Yamahtta Taylor, an assistant professor of African American Studies at the Ivy League school in New Jersey, spoke to graduates at Hampshire College in Amherst, Massachusetts, on May 20. In a Wednesday statement, Taylor provided examples of racially derogatory and misogynistic slurs she said were in the emails. She said the emails followed Fox News coverage of her speech, and she blamed Fox News for the backlash. She said it ran the story to "incite and unleash the mob-like mentality of its fringe audience." Fox News hasn't responded to a request for comment. Taylor said that in the commencement address, she wanted to warn graduates about the world they graduated into and she said she argued that Trump "poses a threat to their future." The author of "From #BlackLivesMatter to Black Liberation" said she canceled appearances this week at Seattle's Town Hall and the University of California-San Diego. She said she released her statement because she will "not be silent." Taylor has declined to comment further. She is on sabbatical from Princeton for the 2016-17 academic year.